The first tournament, held in 2000, was sponsored by Ruth and Jerry Wexler of the United States. The continuation of the annual tournament in Ruth and Jerry’s memory, has been made possible through the generosity of their children and families – Gary and Nina Wexler and Ann and Robert Fromer. 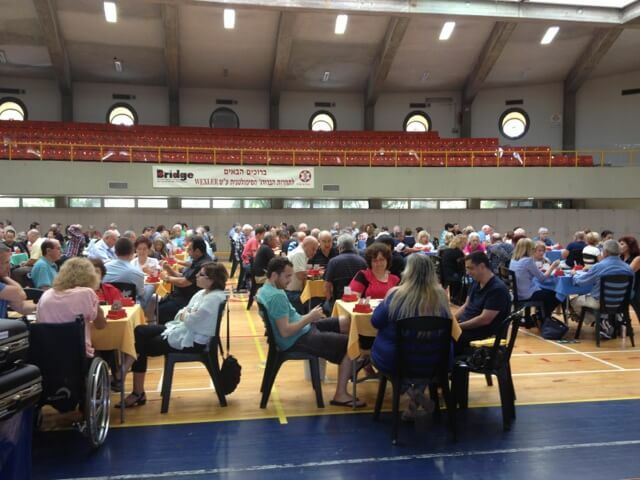 In an effort to promote the game of Bridge and integrate more players into the tournament, the general public has been invited to join the activities and competitions held regularly at Beit Halochem. The Wexler Tournament gives participants the opportunity to experience a small part of the many activities that Beit Halochem provides to Israel’s disabled veterans and their families as part of their rehabilitation and reintegration into Israel society.